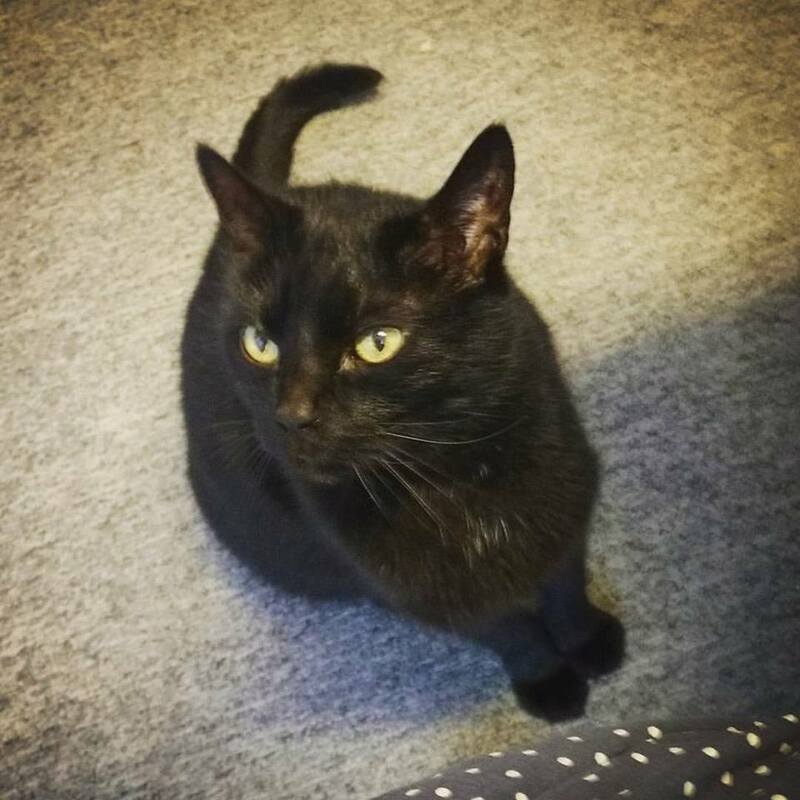 Over 15 years ago, a cold, hungry, black kitten trotted in the Food Shuttle door. He first appeared late in the fall, and though he enjoyed the toys and food left out for him, he was too fearful to let anyone catch him. That changed after the Food Shuttle closed for several days during a winter snow event. When Sid Williams opened up at 7am that first day back, Riley Cat followed him in out of the cold. And he never left. Why do we keep pets? To remind us not to judge. To develop generosity, sympathy, empathy. To connect us to life and the natural world. To plant our feet firmly on planet earth. To calm us when our mundane lives threaten to overwhelm. To make us laugh. To make us cry. These are all important things to bring into the work setting. Particularly when that work is human service—bearing witness to the human condition in all its complicated, messy glory. 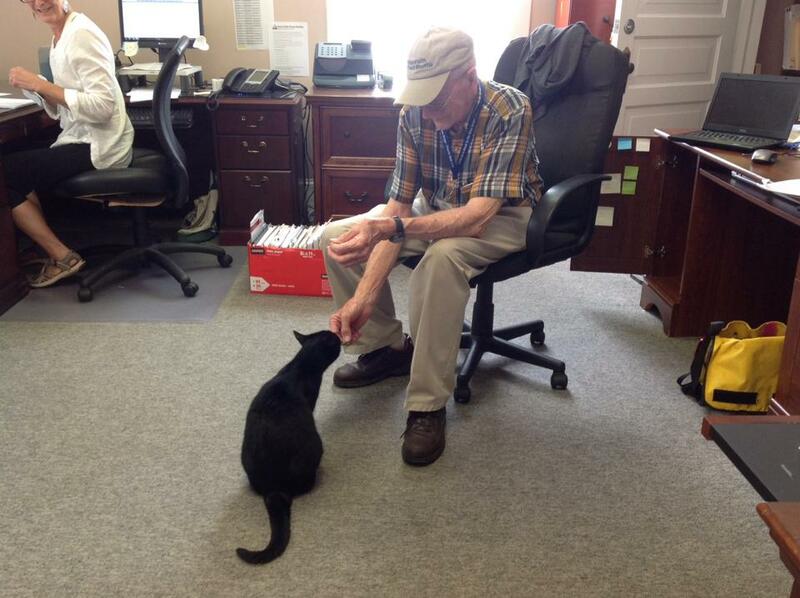 For over a decade and a half a little black cat helped make this workplace a calmer, more welcoming, friendlier place. Why “Riley”? Because he lived the Life of Riley—spoiled by everyone. He loved Mondays when all the action would start up again after a quiet weekend alone. Gregarious in a way not common to felines, he could turn a dedicated dog-person into a cat admirer. If you didn’t want him in your meeting, then you’d better shut the door. He had a good run, he didn’t suffer, he just blinked out. We’ll miss you, buddy.